The destruction of Mogadishu is a quaint, if not a whimsical, narrative of the demise of thousands of architecturally significant resources, some dating back to the founding era of the City during Muslim renaissance. Many of the resources that are gutted down or burned to the ground are irreplaceable. Pillaging coastal resources is the last act in the ongoing destruction of Mogadishu’s heritage. Before the 1990s civil war, Mogadishu was a magnificent and dazzling city, consisting of a peaceful tapestry of neighborhoods with avant-garde boulevards connecting Italianate Baroque architecture and iconic Islamic heritage. 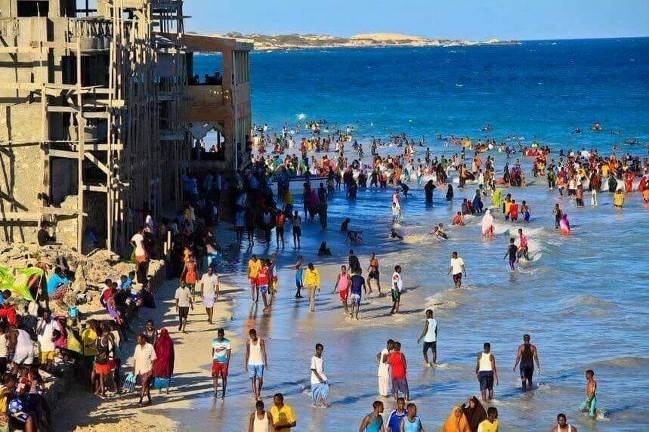 Its beaches running parallel to Shangani, Abdula Aziz and Xamarweyn elevated the status of this magnificent city to be the uncontested pride for Somalis and a cultural repository for Sub-Sahara Africa. Sad to note, though, that much of that panoramic urban landscape is lost to the bitter civil war of the 1990s. The last vestige of grandiose landscape of Mogadishu i.e., its coastal resources, is being destroyed in real time. A case in point is a recent project the City erroneously permitted for construction on the City’s shoreline; this project, below, is nothing more than a death sentence to a city that has been mortally wounded. To make matters worse, this project, which, according to reliable sources, was permitted not too long ago, is one of many similar projects in the pipelines. Sources close to the Mayor office said that the current Mogadishu administration blames the permitting of this project and other similar ones on the executive branches interference in Municipal affairs. 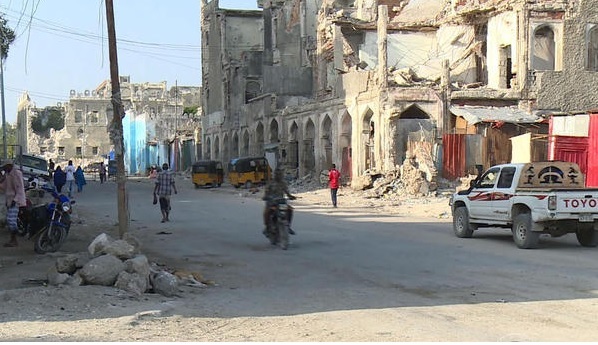 Letting out of scale and incompatible buildings encroach into the last public space of Mogadishu is an affront to the nation; it is also an expression of ignorance at best and the ultimate sign of pillaging, thus corruption, whatever is left of the country’s public resources. 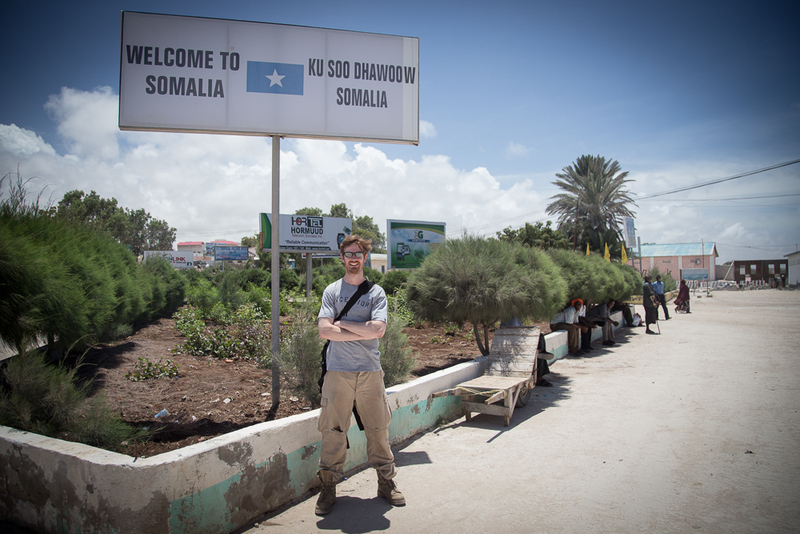 The pillaging of Mogadishu is happening (a) without consultation with the indigenous or residents at large of the City; and (b) because the City does not have either an urban agenda or a comprehensive strategy and local coastal plans, beyond what its officials call incessantly “bilicda magaagala,’ or the “looks of the City,” a meaningless phrase at a time when the City needs a serious agenda. Somalis are faced with the looming climate change; it could endanger the very existence of the nation’s city dwellers. Unheard of hurricanes, massive flooding, and erratic currents could any day crush hard on the gates of the City. With moribund national institutions, and no mitigation plans at hand, it is imprudent if not criminal to issue permits for buildings along Mogadishu’s shorelines – imprudent because these buildings are encroaching thus destroying our coastal resources, and criminal because the government decision-makers are willy-nilly exposing people to known danger. As a planner, I always gravitate towards first identifying both current and future challenges and seek appropriate tool boxes to mitigate potential impacts. For the last two years, I have been digesting the big problem of how precarious our cities are and the danger associated with both climate change and rapid growth. I had the honor to speak at a conference which the HERITAGE Institute organized in Djibouti in December 2017, that all Somali regions were represented. Unlike my previous public appearances, I spoke at this conference less on politics and more on the lack of sustainable plans in the era of climate change. In that speech, I argued that most Somali speaking urban dwellers live in coastal towns. Somali urban dwellers and their institutions (financial and political) are concentrated in coastal areas. Djibouti, Zaylac, Berbera, Bossasso, Hobyo, Mogadishu, Berawa, Kismanyo could be wiped out with one Tsunami. Also, the recent flooding of Beledweyn, Jawhar, Afgooye, Dollow and Bardheere point to the intersectionality between climate change and population centers.